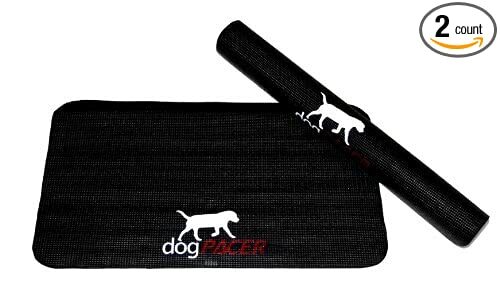 The DogPACER treadmill mat is made to protect your flooring. Place under the Dog Pacer treadmill for an added layer of protection. Package of two, one for the front and one for the back. Dimensions are 28"x16"